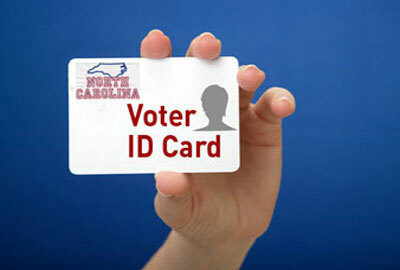 Conservatives at the General Assembly are advancing legislation again this year that would require every North Carolinian who comes to the polls on Election Day to show a government-issued photo ID in order to vote. It is, of course, an enormously controversial proposal and yesterday, to their partial credit, members of a House Committee actually held a public hearing on the matter in which a number of groups and energetic citizens got a chance to be heard. Unfortunately, any such credit afforded to lawmakers for holding the hearing has to be greatly tempered as a result of at least a couple of big factors. Second, there is absolutely no indication that the hearing will be allowed to have any real impact. Even before scores of speakers began trooping to the podium yesterday afternoon in the Legislative Office Building, legislative leaders including House Speaker Thom Tillis had already made it plain that they were going to pass a bill and had no real interest in the arguments of voter ID opponents. And still, despite the clear signals sent by the conservative members in attendance that they were essentially going through the motions and only interested in, if anything, suggestions on how to implement mandatory photo voter ID, speaker after speaker decried the very premise of the proposal in the strongest possible terms You can watch videos of the entire hearing by clicking here and here and a highlights video here. Voter fraud – the supposed target of such a proposal – is already a felony and incredibly rare. Spokeswoman Dee Hatch of the AARP of North Carolina was especially powerful when she diagrammed the threat to seniors posed by mandatory voter ID laws on behalf of her 1.2 million members. As she noted, the problem in American elections isn’t fraud, it’s the barriers that already make voting difficult – especially for people who lack resources and transportation. A mandatory photo ID requirement will just make these barriers harder to overcome. In addition, she noted that older adults are more likely to lack birth certificates. “If you don’t have or cannot find your birth certificate, it may not be possible to get a birth certificate, depending on when and where you were born – particularly if you no longer live in the state where you were born,” Hatch noted. Several others cited the absurdity and hypocrisy of, as has been proposed, limiting the photo ID requirement to in-person voting while doing nothing to extend such a requirement to absentee voting. And, as is often the case in North Carolina civil rights debates, many of the most potent and profound arguments were articulated by Rev. William Barber of the North Carolina NAACP. Barber noted that his organization has been fighting violence, “grandfather clauses” and poll taxes for more than a century in order to gain unfettered access to the ballot box. And yet, he noted, even in the face of these roadblocks, it – the NAACP – had never tried to erect barriers that would impede any other group or individuals from voting. Now, he said, the NAACP felt very strongly that it was dealing with the modern day equivalent of those practices of bygone years. “This new poll tax – we refuse to any longer call it ‘voter ID’ – this new voter poll tax…is a violation of the 24th Amendment which says that no poll tax or any other tax can be required to qualify people to vote,” Barber stated. Of course one of the great ironies of voter ID legislation is the way it flies in the face of the longstanding conservative and libertarian opposition to mandatory government ID generally. Just 35 years or so ago, conservatives in America screamed bitterly and loudly that then-President Jimmy Carter’s proposal of a national identification card was a grave infringement on personal liberty and harbinger of a Big Brother American government. Similar sirens were sounded 20 years ago when President Clinton called for the issuance of national health care ID cards to all Americans. “How dare these big government liberals propose to force people to obtain government ID?” went the refrain. Now, such arguments are conveniently forgotten as supposed anti-government conservatives clamor for just such a requirement. Truth be told, there is a compelling case to be made that the automatic provision of tamper proof biometric national identification cards for all Americans is a rational suggestion. If done properly and automatically, it could actually make voting much easier and solve any number of other, formidable societal problems. Unfortunately, conservatives have no intention of letting such a rational ID proposal advance. They would rather preserve a “worst-of-all-worlds” situation in which photo ID is essential in one critical area (voting) but difficult to obtain for the people whom they have determined are most likely to vote against them: the poor, people of color, the elderly and the disabled. For whatever reason – making a record to use in defense during a future court challenge or merely trying to manipulate public opinion – the show will go on for a little while longer. But, as Speaker Tillis made clear last week, this is all window dressing – a kind of political theater of the absurd in which the outcome is foreordained and most of the elected officials in the drama are merely playing roles assigned to them.